Home » Yoga » Yoga Online Classes » Gaia TV Review – Is it Really the Best Online Yoga Service Out There? Design and structure is a bit too noisy. We prefer it a bit cleaner. Summary: If you are looking for a holistic yoga online service you can stop looking. Gaiam TV (now Gaia) is what you need. It offers a wide variety of yoga classes but also documentaries and short films. If you are just looking for a super focused yoga class, this might be a bit much for you though. I love staying busy, but being too busy really cuts into my ability to do the things I love. Specifically, yoga always goes to the wayside when I’m busy with my kids or their numerous extracurriculars. They always make it to dance and baseball, but I can’t say the same for getting myself to yoga. Because my schedule is hectic at best, I’ve been cruising my way through a variety of online yoga class subscription sites. If you’ve been following along, I’ve tried YogaVibes, YogaGlo, Dirty Yoga, and MyYogaWorks so far. Next on the lineup is my Gaia review. 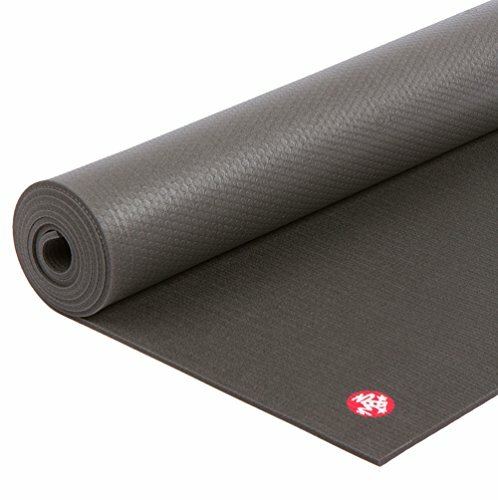 Gaiam TV is by far the most unique subscription option out of all the sites I've reviewed so far. While YogaGlo, YogaVibes, Dirty Yoga, and MyYogaWorks have all been devoted solely to streaming yoga classes, Gaiam TV offers yoga classes plus documentaries and films. I'm quite fascinated with this aspect, but you might not feel that way. If you want something that's strictly yoga, then you might not like Gaiam TV. But if you're interested in films and documentaries focusing on leading a physically and spiritually healthy life, this is absolutely something I recommend you try. Gaiam TV isn't just videos, classes, and films. The site also has an extensive list of articles geared towards helping you reach your highest potential as an individual. Number of classes: There are over 250 yoga classes on Gaiam TV. This doesn't include the other fitness classes. Teachers: Learn from some of the best including Annie Carpenter, Kino Macgregor, Kia Miller, Tommy Rosen, and Sianna Sherman. Class Length: Classes range from five minutes to full 90-minute classes. Gaiam TV is more than fitness and yoga. It's about developing complete physical, intellectual, and spiritual health. Gaiam is known for their yoga DVDs and items, but their online classes expand into pilates, dance, and even tai chi. Short films and documentaries will rev up your intention to live a mindful, healthy lifestyle. Gaiam TV isn't so much an online yoga subscription service as it is a website devoted to health and health-related media. You might log on looking for a yoga class, but it's easy to get sucked into a number of documentaries or films instead. There is a lot of information packed into one website. I find the site to be a bit too stimulating and resource-heavy when I'm simply looking for online yoga classes. I mentioned Gaiam TV having a lot of information, so that means I'm about to hit you with a bunch of information of my own. Are you ready? You might need a green smoothie for this. Since you're reading this review to find online yoga, let's start with the main reason we're all here. Gaiam TV's My Yoga channel is quite comprehensive, but when I clicked on "All Yoga", it basically was a massive advertisement for Rodney and Colleen Saidman Yee. The entire first page of "all yoga" classes was nothing but classes and talks by these two. 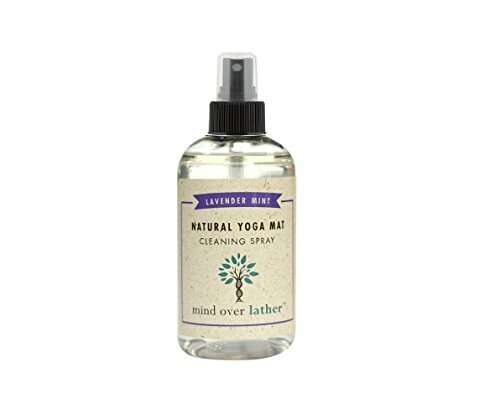 While Rodney and Colleen are extremely respected in the yoga industry, I kind of feel like they're Gaiam's biggest money makers and they're pushing hard to prove that. Gaiam offers a slew of styles to choose from. Try your hand with a sweaty Fusion class or explore the Ashtanga primary series. Included in your subscription are Kundalini, restorative, yin, vinyasa, Hatha, and power classes. YogaGlo and Gaiam TV are the two services where I know who a majority of the teachers are. If you're active on Instagram or read Yoga Journal, then you'll probably recognize a majority of the names, too. Choose from classes that are less than 15 minutes and as long as 60 to 90 minutes. The focus search feature is pretty much identical on all of these sites, I've found. You can search for classes focusing on backbends, hip openers, and yoga for athletes. Much like MyYogaWorks and YogaVibes, Gaiam TV offers guided programs to accomplish a certain pose, challenge yourself, or to halt the endless browsing of the hundreds of classes. Unique to Gaiam TV is the length of these programs. You can join a program that's as short as seven days or opt for a full 30-day challenge. You'll get an email every day reminding you of the challenge and what you have on tap for that day. My favorite was the Sacred Power of the Goddess guide. This 11-day guide introduces you to the Gods and Goddesses of Indian mythology and lets them guide you in enhancing and deepening your practice. As you're working a mystical flow, your teacher guides you ancient wisdom to draw out your Inner Goddess. My favorite class was with Gina Caputo that focused on the warrior goddess, Durga, who protects humans from demons. The other guide I tried was the Greet the Sun Yoga Challenge. This 21-day program is designed to get you into a habit of starting your day with yoga. It takes a lot to get me out of bed before I absolutely have to, but I've found my time management is so much better if I'm up early and get a yoga practice in before my day officially starts. Each class is less than 45-minutes long and varies in length day to day. I can't recommend this program enough if you're not a morning person. The first week was hazy, but after that, I really found these morning sessions to be the bright spot in my day (minus bedtime, of course). Once you've practiced yoga, reward yourself with some of Gaiam's other channels. Surely I'm not the only one who likes a good marathon TV session after a brisk yoga class, am I? The Health and Longevity channel features a ton of films, documentaries, and series about all aspects of your health. If you've been meaning to change your eating habits, the Healthy Eating videos should interest you. Watch some popular food-related documentaries like FoodMatters, Hungry for Change, and Fat, Sick, and Nearly Dead. The Healthy Living section features videos to help you soothe common ailments like back pain, diabetes, and stress. Besides the yoga channel, this was the other channel that got most of my attention. I'm a total geek for all things paranormal and/or supernatural, so the Seeking Truth channel certainly piqued my interest. Did you happen to see the movie The Conjuring? If you did, then share my excitement with "Beyond the Conjuring" where we learn about what happened to the Perrons after their infamous exorcism. Supported Devices: Since Gaiam has so much content, the company has made the website accessible on a variety of platforms. Basically, if the device has a streaming capability, Gaiam TV is probably supported by it. Video Quality:​ All videos are usually in high quality. Loading Speed: You should have at least a 10Mbit​ connection for a smooth viewing experience. Gaiam TV doesn't seem like a good fit? Never fear; I have plenty of recommendations for you! ​Grokker is a premium ﻿subscription﻿ service which has over a thousand videos to offer, covering a wide range of topics: from yoga and pilates classes to healthy recipes. You can try out Grokker’s amazing service for yourself for free with their 14-day trial. After that, your exclusive access to their amazing range of content will only cost you $14.99/month - or $9.99 if you sign up for a year! With Grokker you’re not just gaining access to their impressive variety of content - you also get the chance to become one with a community of likeminded people. At the Q&A cafe members can ask and answer questions; and you can join in discussions on any topics of particular interest to you. Whether you are looking to perfect your alignment, deepen your meditation practice or add a new spin on your current fitness routine: Grokker has it. Read our in-depth review of this fantastic new service here. YogaGlo is the most popular online yoga streaming service. I'm not sure if it's because of the quality of filming, the caliber of the teachers, or the diversity of the classes, but people love it and so do I. You get a very well-rounded practice with classes added every week in vinyasa, Hatha, restorative, Ashtanga, and yin styles. You get a lot more for your money with Gaiam TV's $9.95 subscription. YogaGlo is $18 a month and only has yoga videos. The teachers are excellent in both YogaGlo and Gaiam TV. If you're basing your decision on the teachers, good luck! MyYogaWorks was founded by the people behind the renowned Yoga Works studios. Known for their excellent teacher training and the famous teachers they've churned out, Yoga Works wanted to make their top-notch teachers' wisdom and classes available to everyone. MyYogaWorks doesn't have as many classes as YogaGlo or YogaVibes, but it makes picking a class much easier. The Journey Series are great for meeting specific goals, but classes are repeated multiple times, so their guides/programs aren't my favorite. Reviewing multiple streaming yoga class sites has been a blast, and I've been getting a ton of yoga in. Gaiam TV was a pleasant surprise because I wasn't expecting to see their yoga DVDs available for streaming or to see some of the teachers they have online. If you're looking into online yoga because of schedule conflicts or a low budget, Gaiam TV will be a great fit for you. I am pretty excited about this service for its yoga classes alone, and I really like the guides for getting myself motivated to try something new or keep a regular practice. CLICK HERE TO TRY GAIA FOR JUST $0.99! I hope you liked my review of GaiamTV. Do you have a friend who could find this review useful? Then share it with them right now by clicking the buttons below. Do you happen to know what Gaia’s cancellation policy is? Thanks! You may terminate your status as a Registered User and cancel your account at any time and for any reason, by notifying us by email at [email protected] or by phone at 866-284-8058, but any such termination and cancellation will be effective only after Gaia has processed the request. If you cancel your account prior to the expiration of your pre-paid subscription period, you will forfeit the Fees paid for any unused portion of your subscription, which are non-refundable. However, you will be able to continue viewing premium content until the expiration of your current pre-paid subscription period. You also acknowledge and agree that the cancellation of your account is your sole right and remedy with respect to any dispute with Gaia. I personally don’t like that you have to write an email or call them directly and that the cancelation is only valid after they have processed your email/call. It is not very transparent. That is why I personally prefer Grokker since you can just cancel any time directly on their website and it just runs until the end of your subscription period. Do you really want to miss out on all those amazing Yoga & Fitness videos on Gaia.com? Try it now! YES, I WANT TO TRY GAIA!